Donating Breast Milk: Alex T's Story Mama Say What?! | Mama Say What?! As a follow-up to my post, Donating Breast Milk- A Mama’s Gift to Mamas and Babies, I wanted to interview a few mamas who’ve had personal experience donating breast milk. I don’t have experience as I used my freezer stash to feed my son instead of switching to cow’s milk. My goal was to find out how the process of becoming a donor actually works and share this information with you, our MSW readers. Alex is a California native who lives in Utah where she’s a work-at-home-mama to her two boys. She loves to travel and cook, loves art and art history, soccer, photography and hiking. She’s a bit of a foodie and suffers from an addiction to baby carriers. Alex runs her own freelance graphic design business in addition the running the day-to-day operations of Mama Say What?! 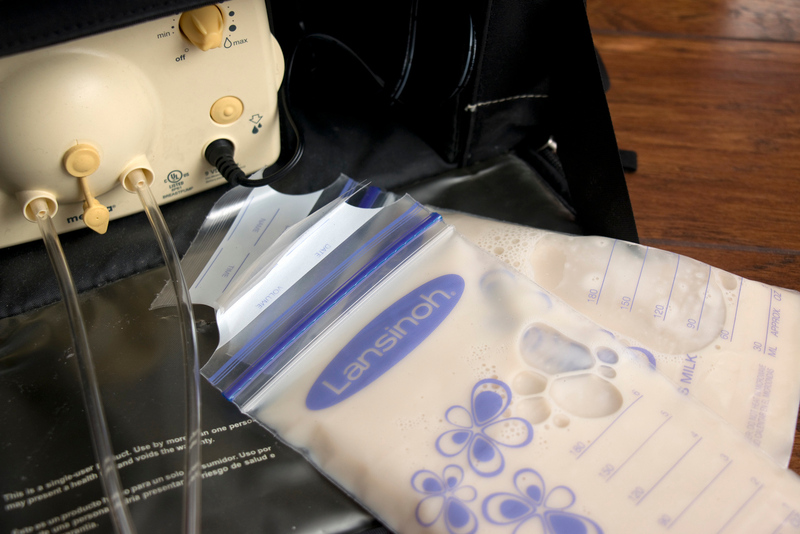 How did you find out about breast milk donation? As humans, we’ve developed ways to donate blood, tissue, organs, and even sperm and ovarian eggs in recent generations, but human milk has been shared since women began having babies. I first learned about milk donation when my mom told me that she had donated milk when I was a newborn. In 1978, a time when breastfeeding rates were pretty low, she had a lot of extra milk but she couldn’t bear to pour it down the drain. 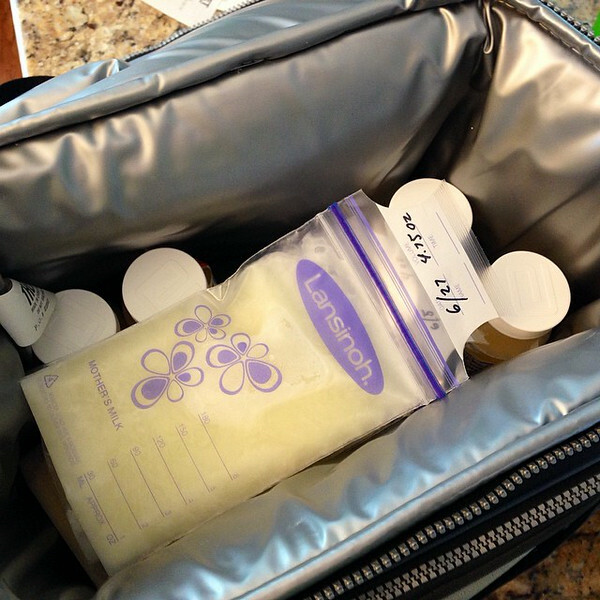 Through the Nursing Mother’s Counsel, someone came to her house to drop off sterile bottles and then pick them up once my mom had filled them and bring them to a HMBANA milk bank in San Jose, CA. She didn’t even have a breast pump that worked very well back then, she hand expressed her milk! Cut to 2009 when my oldest son was a newborn. I became friends with five mamas I met in our Bradley Method Childbirth class and we got together a couple of times a week when our babies were all newborns. We chatted, nursed our babies, commiserated about postpartum life, bonded, and breastfed some more. One mama mentioned that there was a milk bank locally that gave mamas a brand new breast pump as compensation for donating (this bank has since closed). 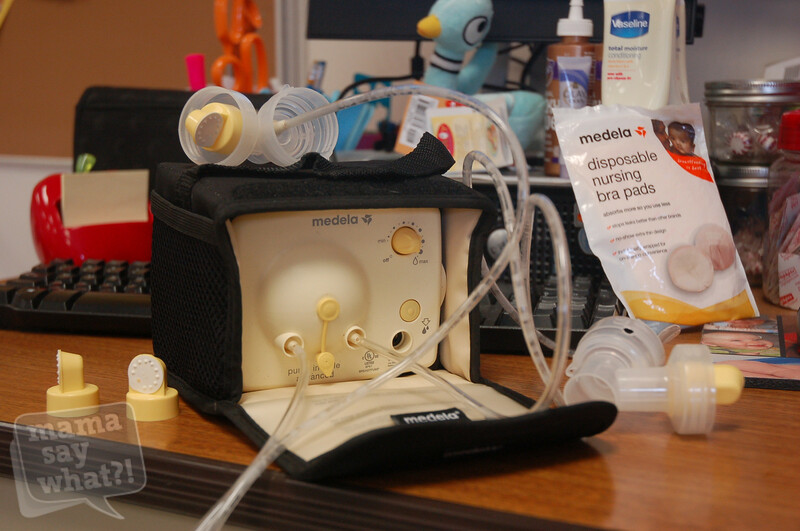 I was curious about it since I’d just dropped $300 on my breast pump (this was before the ACA), and I did a little research on what the requirements were. I learned that they required a minimum donation of 80 ounces at once. After going back to work, I had an oversupply and I was running out of room in my freezer. The week I was going to get the process started, a massive earthquake shook Haiti. The outpouring of support was huge and every time I called the milk bank, I heard a recorded message saying they were so overwhelmed with donations for Haiti that they didn’t have anyone available to take my call. I left three messages and when I never heard back, I gave up. We ended up using most of the milk I had in my freezer anyway. My oversupply evened out and my day care provider was overfeeding my son at times, so by the time he was seven months old, I had almost nothing left in my freezer. In hindsight, I guess it was a good thing I didn’t donate milk, but it would have been nice to share some of my excess. Four and a half years later, my second son, M was born and I was able to be a SAHM. I still had my breast pump and I only pumped to relieve engorgement rather than to try and build a stash in the freezer. The few times my husband or my mother-in-law tried to give M a bottle, he hated it and screamed. Since I was not working outside the house full time, it was easier for me to just keep nursing and not bother with bottles at all. I had an oversupply again and my youngest slept in longer stretches than my oldest did as a newborn. So I often found myself engorged and needing to pump to relieve the discomfort. Within a week, I was running out of room in my freezer and needed to figure out what to do with it. Throwing it away was simply NOT an option. Did you donate through a Human Milk Banking Association of North America (HMBANA) milk bank? No. When my youngest son was born, there was no HMBANA bank close to me in Utah (only CA or CO) and I would have needed to donate a minimum of 150 ounces for them to pay for me to ship frozen milk to them. I have learned that this has now changed and the 150 ounces doesn’t have to be all at once. At the time, I didn’t have enough milk to meet that minimum, but I still had milk to donate; milk that would be thrown away or made into popsicles since my son wouldn’t take a bottle. There are a multitude of reasons why I chose not to wait until I had enough milk, but one of them was because I needed the freezer space. Another reason I chose to donate locally was because of how much banks typically charge families for donated milk. I totally understand that it costs money to run a milk bank with lab screening, donor screening, pasteurization, etc. But I really struggled with the idea of families having to pay between $4 and $6 per ounce for donated milk; milk that was free for me. Sometimes health insurance will cover it if a doctor writes a prescription, but it’s up to the family to submit a claim and get reimbursement from insurance. If a family would rather give their baby breast milk than formula for whatever their reason, especially if it’s not due to a medical issue, it made me sad how expensive it would have been for them. That reason is why I was perfectly happy to donate locally. What was the process of becoming an official donor? With how I donated milk, there wasn’t an official process. I posted in my local Eats on Feets and HM4HB Facebook groups to find a recipient. These are networking tools to help mamas with milk get in touch with mamas and babies who need it. They focus entirely on networking and make it very clear that any donor screening, milk screening, medical information, and advice is 100% up to the mamas to figure out. I shared how much milk I had, where I was located, and the fact that I was on no prescription medications, not consuming alcohol, a non-smoker, and I also included that I do consume dairy products (since some babies can be sensitive). I made it clear I was only interested in meeting someone locally for milk, I was not willing to ship it. From there, I got a few messages from mamas who were interested and we chatted. I had one dad send me a message claiming he was looking for milk for his wife, but I told him I wasn’t comfortable donating milk to a man if I didn’t also get to meet the mama or the baby who would be drinking it. I know there’s a niche market for breast milk fetishes and body builders drinking human milk, but I was not comfortable donating to them. Did you test your milk? How? Nope. With sharing milk online, it’s up to the donor and the recipient to decide whether to have the donor or the milk tested. If a mama had asked me to get my milk tested or asked if I would get a blood test to check for illnesses that can be transmitted through breast milk, I would have happily obliged. As it was, the two mamas I donated to did not request this. Please describe the donation process. How did you package, send, meet-up, etc.? I was able to give my milk to two mamas local to me. 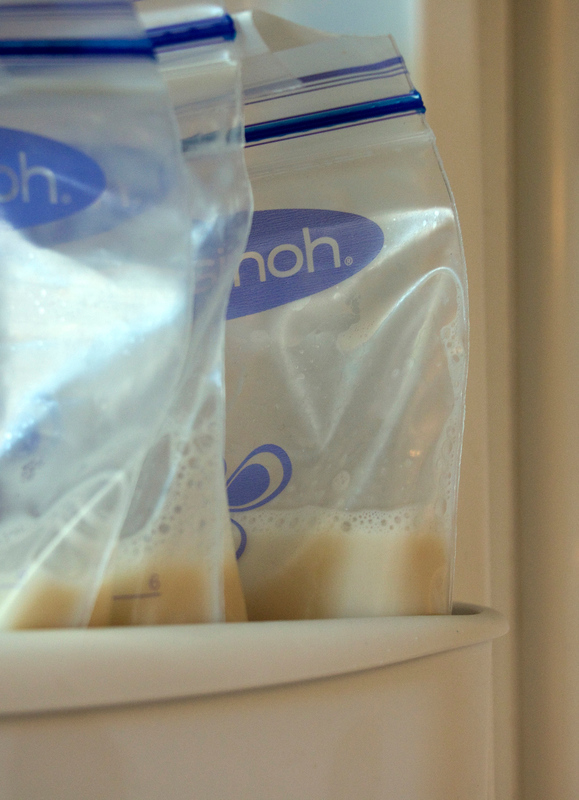 I had frozen my milk in 2-4 ounce increments in Lansinoh storage bags knowing that I would likely be donating to babies who could only drink a few ounces at a time. I met the first mama at a local museum where I met her and her little boy. She suffered from insufficient glandular tissue and wasn’t able to produce enough milk to feed her baby. His tummy struggled with most formulas, so she was looking to donor milk. He ended up having a sensitivity to cow’s milk products, so he only got a little bit of my milk. The second mama I donated to was a rock star! We met at a local restaurant and she explained that she had just adopted a newborn baby boy and she was inducing lactation so she could breastfeed him. She struggled to produce enough, so she looked to donor milk to supplement. She brought tears to my eyes with her story because it was something I had considered back when we struggled to get pregnant with my youngest son. If we had gone the adoption route, I had hoped to breastfeed too. If you could donate again, is there anything you would change or do differently? I really would have liked to donate to a milk bank back when my oldest was a newborn. If anything, so I could get a better idea on how the process worked and I would have liked to know where they typically sent their milk… whether it was to local families or local hospitals and NICUs. I would donate again in a heartbeat. It’s the only reason I still have my breast pump, even though I haven’t used it in over a year. I would also happily be a wet nurse for close friends or family members if their babies needed it. What is your major take-away from this experience? I am in the process of weaning my youngest son who’s 2.5 and while I am SO done with nursing, I know I will miss it tremendously. The pride and confidence it gave me as a mother is really hard to describe, but it’s a feeling I will hold onto for the rest of my life. Wet nursing and milk sharing was a societal norm until the invention of formula, and it makes me sad that it’s not at all common today among family members and close friends. It’s often discouraged and considered too risky. People are often skeeved out by the thought of milk sharing in any capacity, even when studies have proven that it can be a safer and healthier alternative to formula for many babies. Donated milk is saving the lives of NICU babies and preemies every day. Milk sharing was an integral part of life for new mamas in previous centuries. If a mama struggled to breastfeed or was ill, she could count on a lactating sister, cousin, or a friend to be able to nourish her baby. I would love to see that sense of “village” restored some day. Have you donated breast milk? What was your favorite part of the experience? Comment below to share! Added by Sarah K. on January 23, 2017. You are rocking breastfeeding! Way to go! Weaning at 2.5!